Finally, the day has come! Today was Aiden's Eagle Project Day! 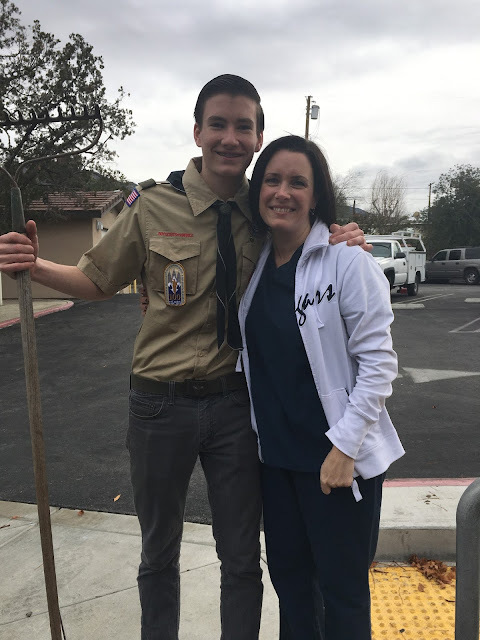 Anyone who has a son who has earned his Eagle knows exactly why the mother is given a pin. Holy moly. Aiden has been finished with his merit badges and rank advancements for years, and this project just loomed over our heads. 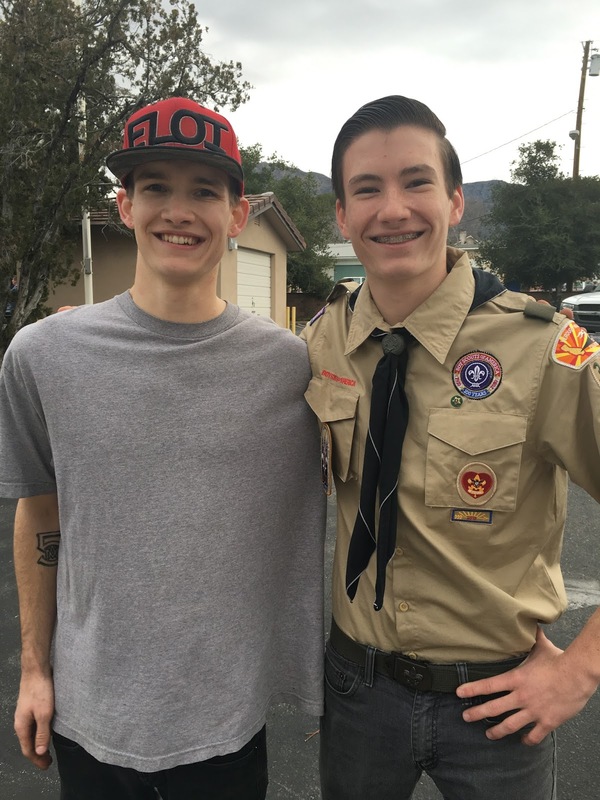 Once high school begins, finding the time to do scouts becomes a serious challenge. I finally told Aiden he couldn't get his driver's license until he at least had his project planned and approved. That seemed to be the golden ticket. 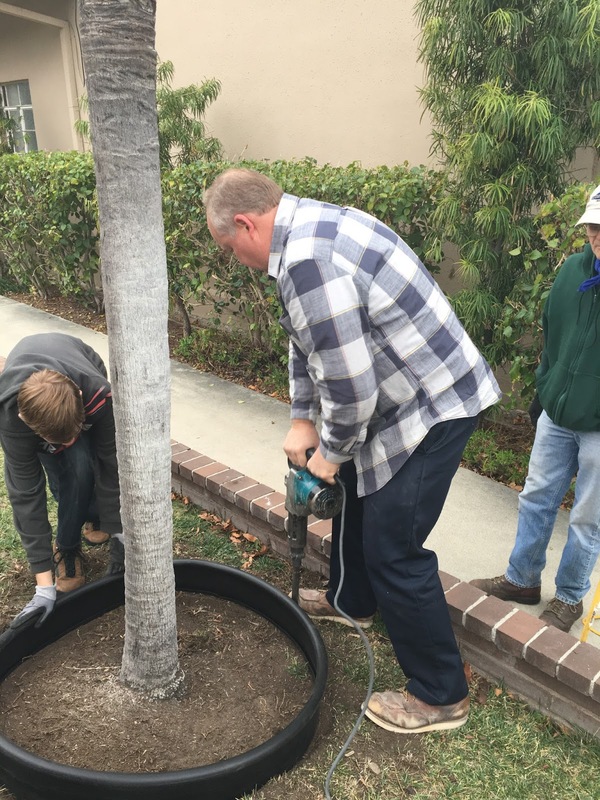 He decided to do some landscape improvements around our church building and the pavilion behind our building. 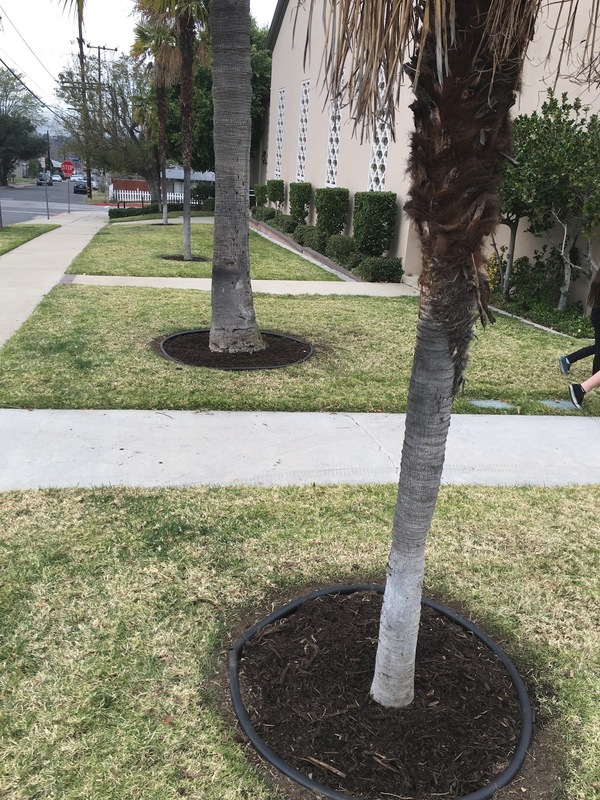 The trees needed borders and mulch. There were nine trees that needed borders and several others that needed to be mulched. I have to say, this project was all Aiden. I didn't help him at all. 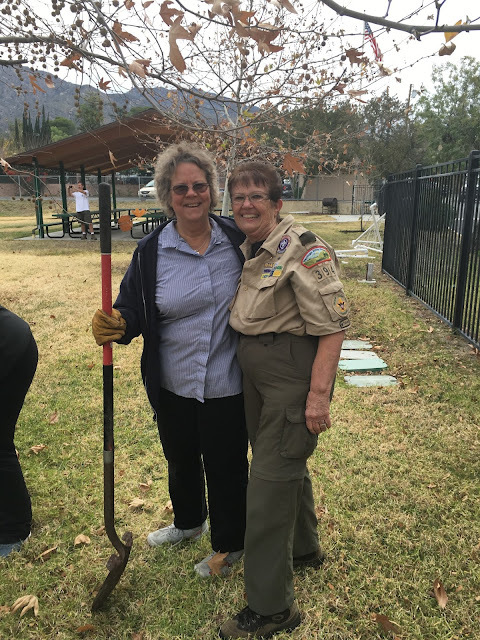 He filled out his workbook, made the necessary appointments for signatures, had his interviews, arranged for materials and delivery, did all the fundraising and planning, and then executed the project with stellar leadership. I guess that's the whole point of the project, really, far outweighing what the actual project is. I had worked the night before, so I came straight from work, picked up 8 dozen donuts on the way home, and then directly to the church we went. Aiden had announced his project in church and made reminder phone calls/FB announcements, but I really had no idea how much support he'd have. I shouldn't have worried. Cars started pulling in, and pulling in. 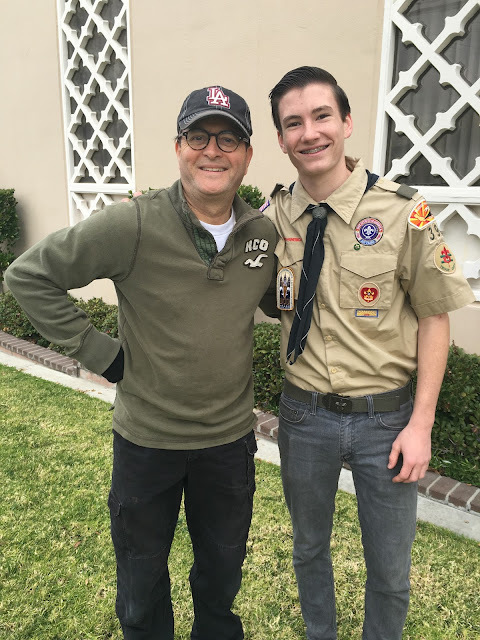 Fathers, sons, scouts, leaders, teachers, people who just loved Aiden and wanted to help him gave up the early morning hours of their Saturday morning, and I was fighting back tears as I walked around taking pictures. I love that Aiden's brothers were there to help him. 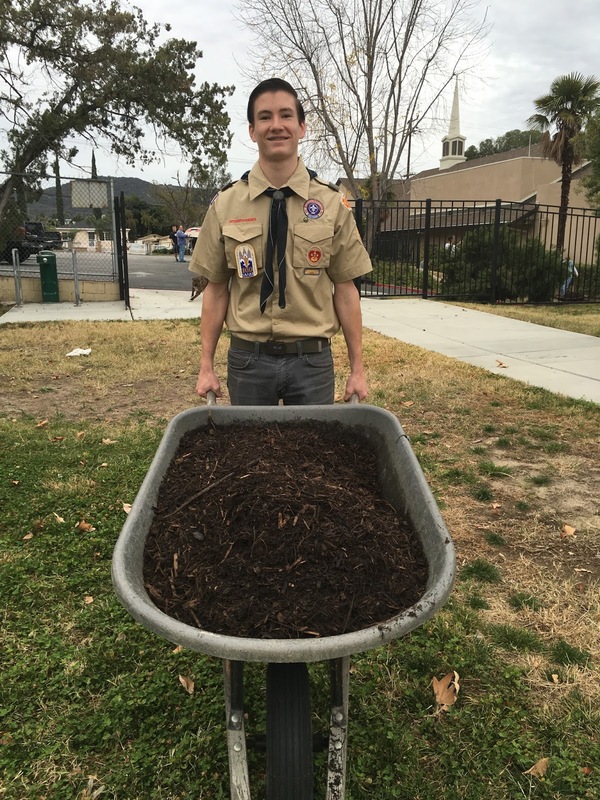 Dylan earned Life Scout, but then never did his Eagle Project after he moved to his dad's. I think he regrets that now, and was very insistent that Aiden see this through. And little Conor worked the whole time with all those big boys and men, never complaining, proud to be a part of something important. 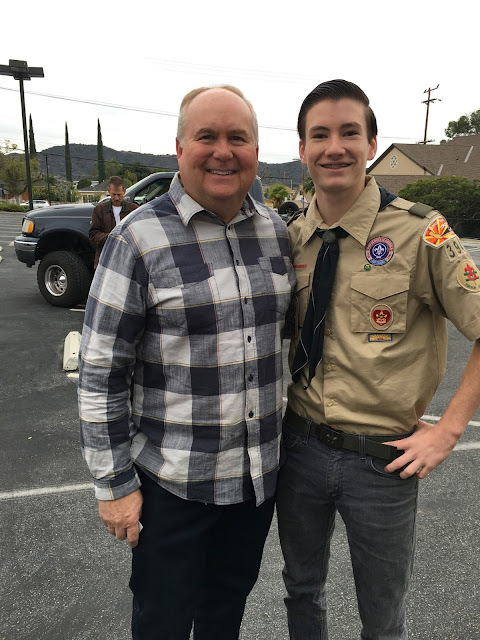 This is Darren Whitcomb, Aiden's Scout Master. We started with a prayer, which Aiden asked me to offer, and then Aiden rallied his troops and designated tasks. And then everyone got to work. Much of it was hard! 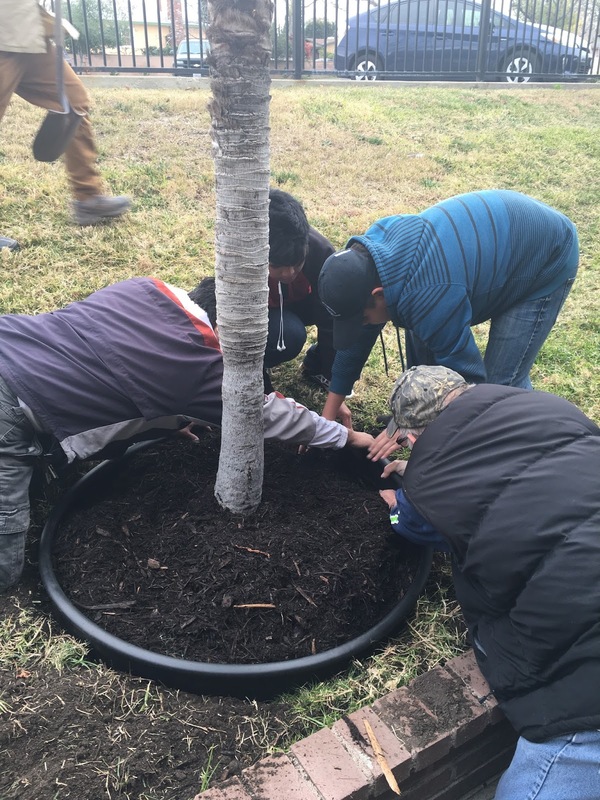 The soil was compacted, there were difficult roots to overcome, but people worked together in a beautiful way. 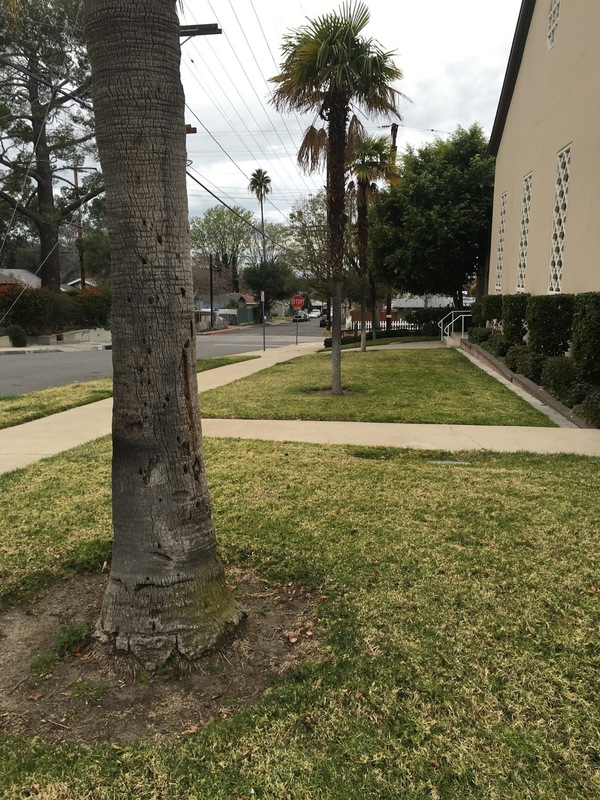 Here is a front view of the property of the church with the trees as they were before. And in the park behind the church, the trees needed some TLC. 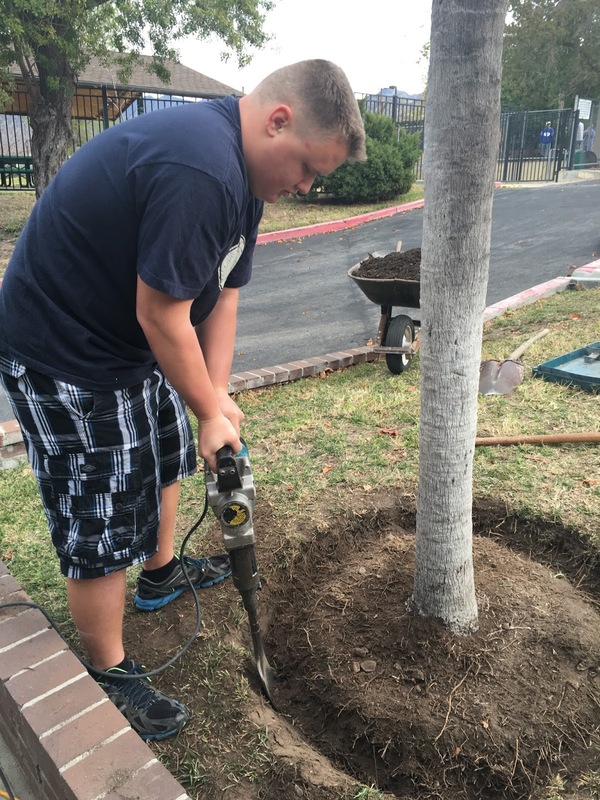 Aiden made all the arrangements with a landscaping company to order the materials and have them delivered the day before the project. He raised all the money to pay for it. 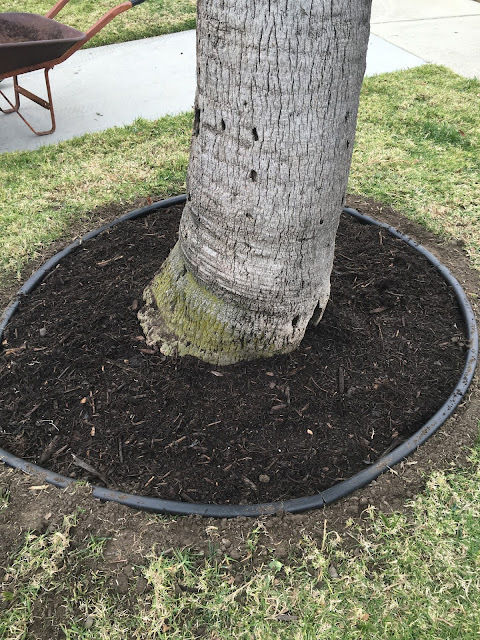 Once each tree had a border and fresh mulch, it looked so beautiful and fresh! I love this picture. The man on the right is Sam Buyon. He was one of Aiden's dad's missionary companions in the Philippines all those years ago! 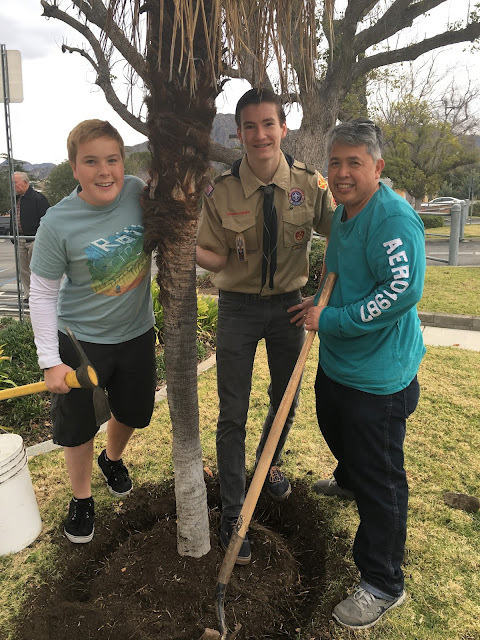 How serendipitous that here he is helping his companion's son work on his Eagle Project in Sunland, California! This is Silvia Pinkston, Aiden's Seminary Teacher Extraordinaire. Here's Aiden with Bishop Pinkston. Now his bishop, but former team Seminary Teacher with his wife, and always a spiritual (and football!) mentor to Aiden. He's been a great example to him. 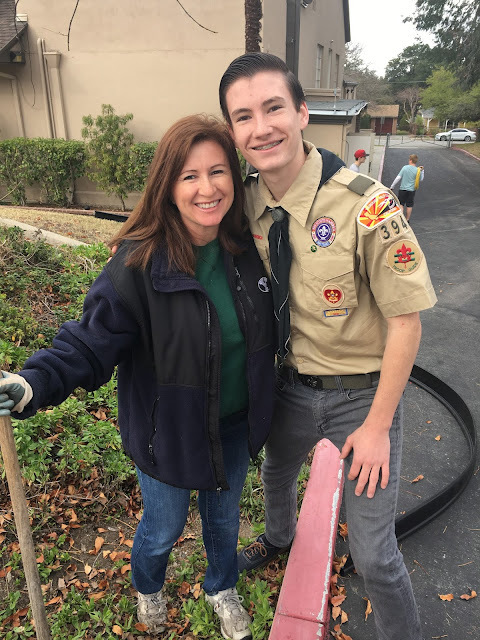 And here's Aiden's Stake President, President Morgan helping too! Such love and support. 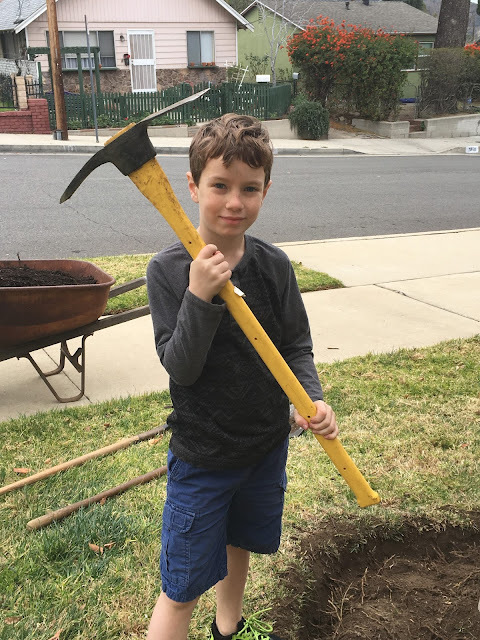 Um, let's go back to the shovel, shall we? It took about two hours in total to do all the trees. And it looks so lovely! 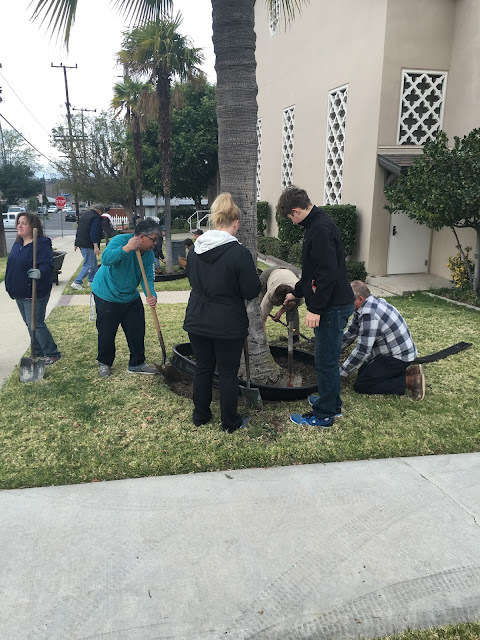 Here are the people we could gather together at the end that came to help. There were others that had to leave a bit earlier. You know, it is so humbling to me. We do the best we can and the Lord fills in the gaps. That's how I feel about all these people who love my boy and add things to his character and his life experiences that I cannot. Each of them has been a teacher, leader, friend, or role model to him in various ways, and has watched him grow from tiny Cub Scout to almost an Eagle Scout! 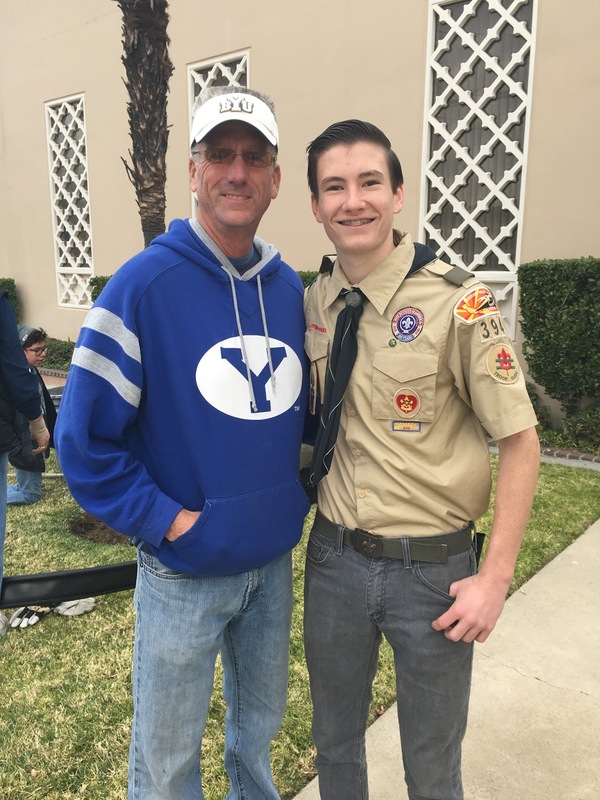 I am especially thankful for the men who have stepped in voluntarily, taken Aiden under their wings, loved him and taught him, and been positive, strong, spiritual role models, to teach him how to be a godly man. And here's the view of the front of the church now, with many other trees done as well! 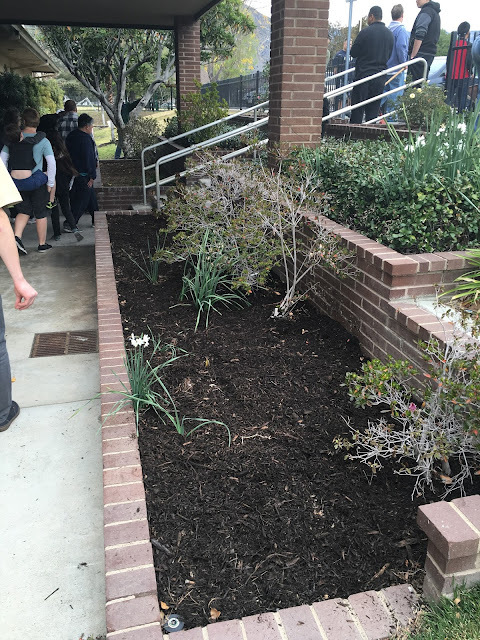 And the leftover mulch was added to all the planters around the church to freshen up rose bushes and flower beds. Great work, Aiden! You're almost done!